The UK’s credit card makers, along with public transport operators, have unveiled a new payments structure with the aim of rolling out contactless payments across the whole of the country. 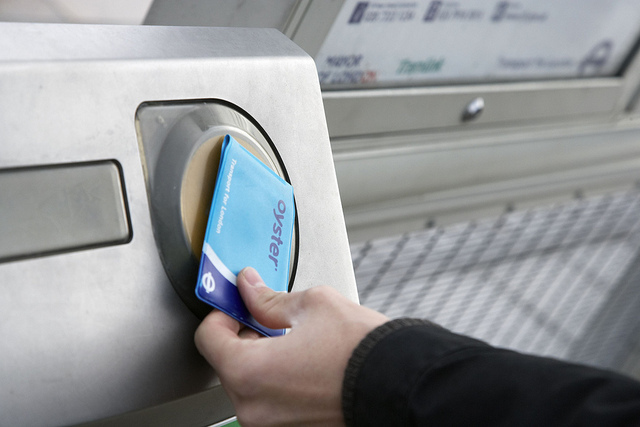 Modelled on London’s Oyster Card system, bus and rail operators will soon be able to offer PAYG contactless journeys across bus and rail, with your total daily spend amount capped to avoid shocking bills, as well as pre-paid ticketing for long trips. This means people up and down the country should soon be able to use a contactless cards, or a smartphone, to pay for journeys and avoid having to print out tickets. London’s bus system went cash-free in 2014 after it found just 1 percent of journeys were made using this payment method, dropping from a quarter in 2000, so it’s clear the direction of travel is headed this way. Apple Pay went live on London transport in June last year too, offering another way to pay along with top-up Oyster Cards and contactless credit cards. Given the well-known North/South divide that splits the country, it’s not clear whether those people in the rest of the UK will be as happy to ditch their cash and switch to mobile payments as the Capital’s metropolitan elite. And, that age old question: what if your phone runs out of battery mid-trip?